The San Mateo County Paratransit Coordinating Council (PCC) is dedicated to improving the quality and availability of paratransit services in San Mateo County. Paratransit is door-to-door public transportation for people with disabilities. 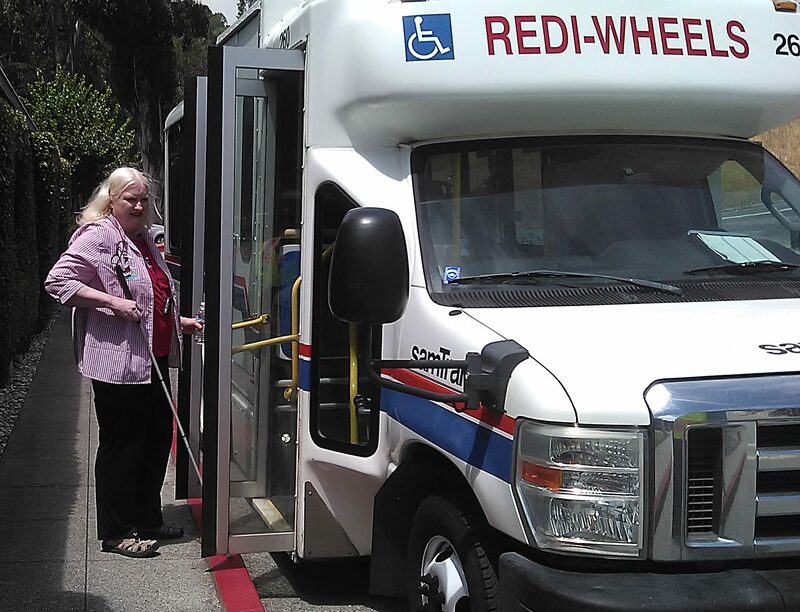 The PCC, founded in 1977, is a volunteer organization that provides a formal structure for people with disabilities to voice their concerns about paratransit services in San Mateo County. The goal is consumer satisfaction and improvement of paratransit services in the county. Redi-Wheels provides service on the Bay side and RediCoast serves the coastal communities in the county. Ensure that paratransit services comply with requirements of the Americans with Disabilities Act (ADA). Review and make recommendations on funding claims. Educate the community, persons with disabilities, the Board of Supervisors, transit providers, and PCC members. Ensure equal service for all people within the disability community. Advocate for high quality paratransit service. Monitor paratransit performance and service quality regularly. Educate the public about paratransit services.